It’s been nearly a century since scientists first theorized that the Universe was expanding, and that the farther away a galaxy was from us, the faster it appears to recede. This isn’t because galaxies are physically moving away from us, but rather because the Universe is full of gravitationally-bound objects, and the fabric of space that those objects reside in is expanding. But this picture, which held sway from the 1920s onward, has been recently revised. It’s been only 20 years since we first realized that this expansion was speeding up, and that as time goes on, individual galaxies will appear to recede away from us faster and faster. In time, they’ll become unreachable, even if we journeyed towards them at the speed of light. The Universe is disappearing, and there’s nothing we can do about it. When you look out at a star whose light arrives after traveling towards you for 100 years, you’re seeing a star that’s 100 light years away, due to the fact that the speed of light is finite. But when you look out at a galaxy whose light arrives after traveling towards you for a journey of 100 million years, you’re not looking at a galaxy that’s 100 million light years distant. Rather, you’re seeing a galaxy that’s significantly farther away than that! 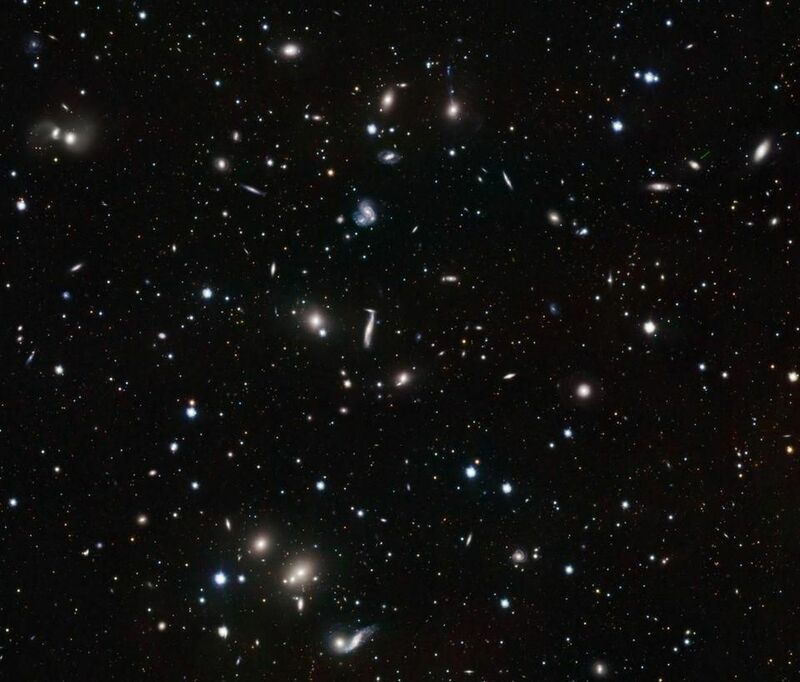 The reason for this is that on the largest scales — ones that aren’t gravitationally bound together into galaxies, groups or clusters — the Universe is expanding. 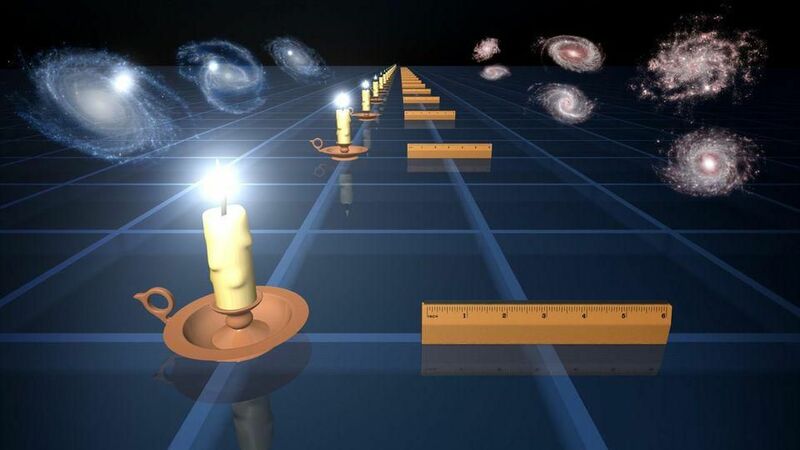 The longer it takes a photon to travel from a distant galaxy to your eyes, the greater the role of the Universe’s expansion, implying that the most distant galaxies are even farther away than the amount of time the light from them has been traveling. This shows up as a cosmic redshift. Since light is emitted with a particular energy, and hence a particular wavelength, we fully expect that it will arrive at its destination with a particular wavelength as well. If the fabric of the Universe were neither expanding nor contracting, but rather were constant, that wavelength would be the same. But if the Universe is expanding, the fabric of that space is stretching as shown in the video above, and hence the wavelength of that light becomes longer. 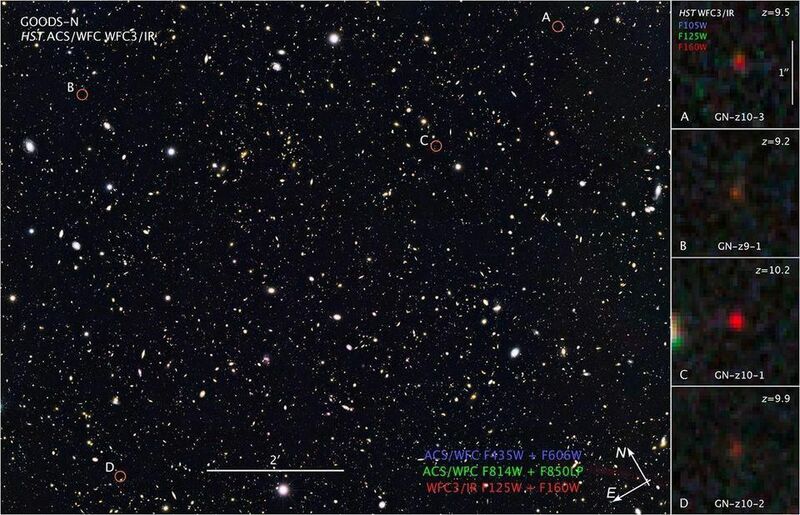 The great redshifts we’ve observed for the most distant galaxies have absolutely verified this picture. But we can do much more than determine that the Universe has expanded and continues to expand. We can use all the information we gather to conclude how the Universe has expanded over its history, which in turn tells us what the Universe is composed of. Once the light leaves a distant, cosmic source, the expanding Universe stretches the wavelength of that light. This leads to a redshift, where the more distant objects will have their light redshift for longer amounts of time, when different components of the Universe (like dark energy, matter, or radiation/neutrinos) were more important. Absolutely nothing else includes no curvature, no cosmic strings, any domain walls, any cosmic textures, etc. Once we know what the Universe is made out of to this degree of precision, we can simply apply this to the laws of gravity (given by Einstein’s General Relativity), and determine what the future fate of our Universe is. What we discovered, when we first applied this to the discovery of a dark energy-dominated Universe, was shocking. First off, it meant that all the galaxies that weren’t already gravitationally bound to us would eventually disappear from view. They would speed away from us at an ever-increasing rate as the Universe continued to expand and expand and expand, unchecked by gravitation or any other force. As time went on, a galaxy would get more distant, meaning that there was an increasing amount of space between that galaxy and ourselves. Since space continues to expand, the galaxy appears to move away at greater and greater speeds, due to the expansion of space. But there’s an inevitable conclusion that this leads to that’s even more disturbing. It means that, at a particular, key distance from us, the expansion of the fabric of space itself makes it so that a photon either leaving our galaxy towards a distant one or leaving a distant galaxy headed towards ours will never reach us. 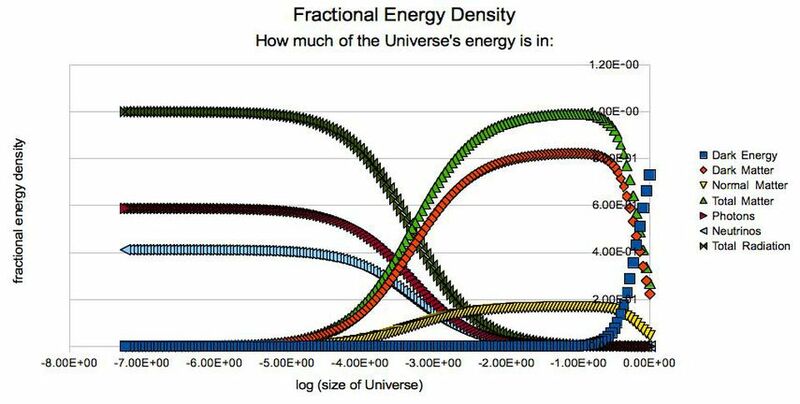 The expansion rate of the Universe is so great that distant galaxies become unreachable to our own, even if we were to move at the speed of light! At present, that distance is “only” about 15 billion light years away. 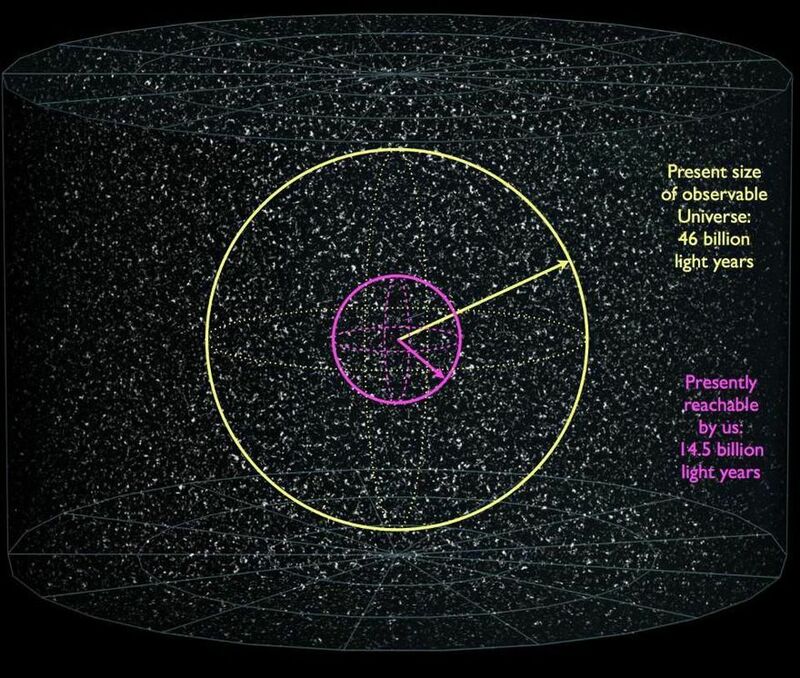 If you consider that our observable Universe is some 46 billion light years in radius, and that all regions of space contain the same number of galaxies as one another, it means that only about 3% of the total number of galaxies in our Universe are presently reachable by us, even if we left today, and traveled at the speed of light. It also means that, on average, twenty thousand stars transition every second from being reachable to being unreachable. The light they emitted a second ago will someday reach us, but the light they emit this very second never will. It’s a disturbing, sobering thought, but there’s also a more optimstic way to view it: this is the Universe reminding us how precious every second is. It’s the Universe telling us that if we ever want to travel beyond our own local group — beyond the gravitationally bound set of objects made up of Andromeda, the Milky Way and about 60 small, satellite galaxies — that every moment we delay is another opportunity being lost. 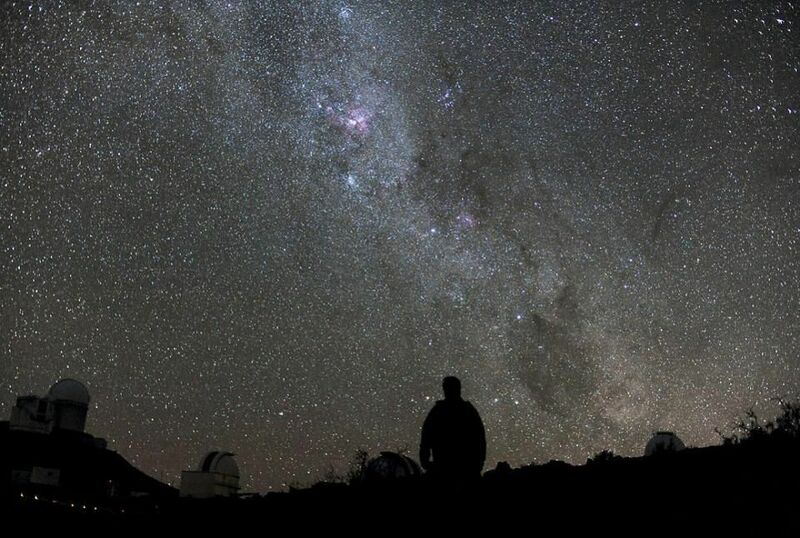 Of the estimated two trillion galaxies in our Universe today, only about 3% of them are still reachable from the point of view of the Milky Way. This also means that 97% of the galaxies in our observable Universe are already out of humanity’s reach, owing to the accelerated expansion of the Universe caused by dark energy. Every galaxy beyond our local group, as time goes on, is destined for that same fate. Unless we develop the capacity for intergalactic travel and head out to other galaxy groups and clusters, humanity will forever be stuck in our local group. As time goes on, our ability to even send or receive signals to what lies beyond in the great cosmic ocean will fade from view. 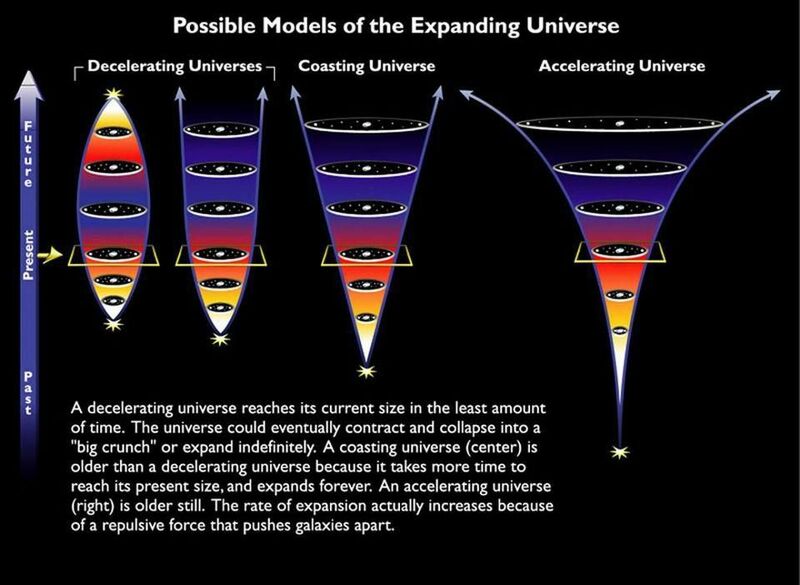 The accelerated expansion of the Universe is relentless, and the gravity we have isn’t strong enough to overcome it. 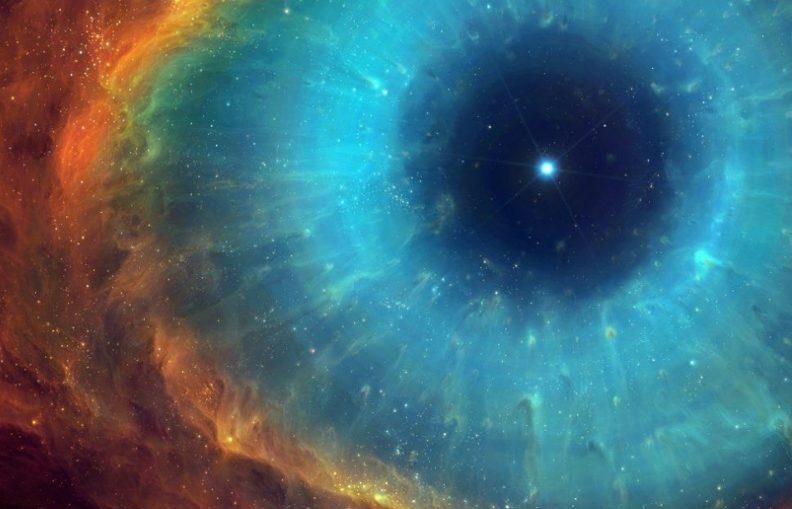 The Universe is disappearing, and there’s nothing we can do to stop it.